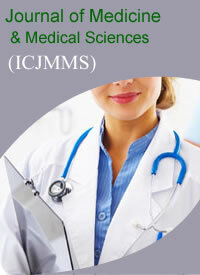 Interlink Continental Journal Of Medicine and Medical Sciences (ICJMMS) is an international online, open access and peer reviewed journal that considers scientific papers in all areas of Medicine and Medical Science. The journal includes a wide range of fields in its discipline to create a platform for the authors to make their contribution towards the journal and the editorial office promises a peer review process for the submitted manuscripts for the quality of publishing. It publishes original research articles, reviews, editorials, commentaries, case reports and letters to the editor that are not under consideration for publication elsewhere. It welcome articles from all areas of medicine and medical science includes Medical diagnosis, Biomedical research and technology, Health care and healthcare sciences, Public health, Toxicology, Pathology, Clinical Biochemistry, Immunology, Immunogenetics, Haematology, Virology, Cytology, Tissue transplant, Critical care science, Vascular science, Audiology, Neuropsychology, Diagnostic radiology, Radiotherapy, Medical electronics, Nuclear medicine, Genetics etc. It also welcome articles from social science researchers that document the intermediating and background social factors influencing health in developing countries. Priority will be given to publication of articles that describe the application of the principles of primary health care in the prevention and treatment of diseases. The Journal welcomes the submission of manuscripts that meets the general criteria of significance and scientific excellence. Papers will be published approximately two (2) weeks after acceptance. All articles publish in the journal will be peer-reviewed. The Journal of Medicine and Medical Sciences will be publish monthly (one volume per year) by Transcontinental Publishers (TP).